The engine options haven’t changed – a 103bhp, 1.2-litre turbo petrol engine, a 104bhp, 1.6-litre petrol unit and a 103.2bhp, 1.5-litre diesel motor. Transmission options include a five-speed manual gearbox and a seven-speed dual-clutch automatic gearbox.We drove the 1.5-litre diesel automatic to take a closer look. Just like before, the motor is quite meaty through the rev range and the Vento moves forward without much effort. Refinement wasn’t really impressive even in the previous car, though there seems to be a slight improvement this time around. There is still a gravelly clatter at idle and a deep drone at low engine speeds. The dual-clutch, seven-speed gearbox is smooth to operate and works almost seamlessly. The 1.6 liter MPI petrol offers 16.09Kmpl, the 1.2 liter petrol delivers 18.19Kmpl, and the diesel mill offers a max mileage of 21.50Kmpl.The 1498 cc Diesel – powered variant delivers a fuel economy of 18 kmpl in city and 20 kmpl on highways, while the Petrol variant offers a mileage of 15 kmpl on urban roads and 17 kmpl and freeways, respectively. There is no change in the ride quality either. It absorbs bumps well at typical city speeds and the suspension works silently, but as you go faster the ride gets a bit bouncy over undulating surfaces. The steering feels a bit heavy, especially driving at city speeds, but it is quite direct and like before the Vento feels very stable and secured at high-speeds. Like most Volkswagen cars, the performance of Volkswagen Vento is pretty good in terms of pick-up and power delivery. The pickup and acceleration of the diesel version is better than that of the petrol guise. Handling wise Volkswagen Vento is pretty smooth and the seven-speed automatic dual shift transmission system is the car’s highlight. Notably, the DSG transmission system is not available with all variants of the Volkswagen Vento. The steering of this car is pretty smooth and can be manoeuvred quite easily. The braking system of Volkswagen Vento, like in the Polo, is quite robust and ideal for Indian conditions. Disc brakes are present in the front wheels while the rear ones are equipped with drum brakes. The solidity of the braking system, coupled with that of the suspension, ensures more stability while riding for the driver and passengers. Front part of this car has a McPherson style strut system and the rear has a trailing arm (partially independent). The Volkswagen Vento is a great sedan with good looks, features and performance.With this facelift, Volkswagen is making sure that the Vento continues to be quite a well-rounded car and now with the added equipment it has worked on its weaknesses too. That said, it still lags behind the competition with the absence of a colour or touchscreen interface, as well as a rear-view camera. However, its strengths of strong build quality, a solid, planted feel and a great (albeit not super-refined) powertrain remain, and now it just looks a whole lot smarter too. Let’s just hope VW prices it well.To put things in a nutshell, there is not much wrong about Volkswagen Vento as a car. Decently stylish, featuring well-designed interiors and equipped with several utility features, Vento has everything that a customer would want from a mid-sized sedan. However, in certain aspects, it lacks the cutting edge that would make someone buy it instantly. Also, the price of this car is on the higher side, which is a deal breaker for several customers in India. 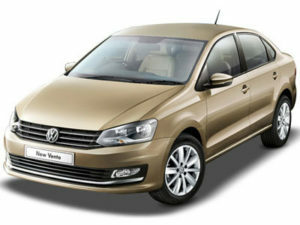 Nevertheless, Volkswagen Vento is a good car and anyone who buys it would not be disappointed at all.